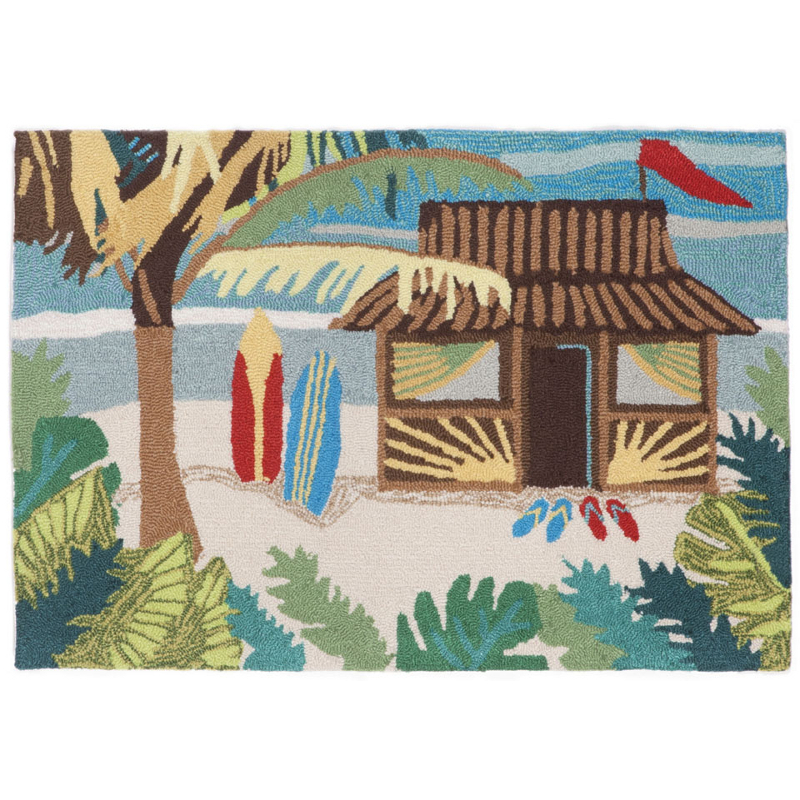 Select Size 20"x30" 24"x36" 30"x48" 24"x60"
Tiki Hut Indoor/ Outdoor Rug features colorful playful coastal rug with a tropical scene featuring a Tiki hut in center. This is a coastal themed rug that is sure to liven up any space. The content and quality of this hand tufted, synthetic blend rug will hold up to indoor or out door use. Richly blended colors add vitality and sophistication to playful novelty designs. Lightweight loosely tufted Indoor Outdoor rugs made of synthetic materials in China and UV stabilized to resist fading and is naturally mildew resistant. These whimsical rugs are sure to liven up any indoor or outdoor space, and their easy care and durability make them ideal for kitchens, bathrooms, and porches.